I can imagine that this heading may create a fair amount of angst and protest amongst readers: “Are you kidding? Have you seen my cupboards? Have you seen my garage? ?” or “I will keep my clutter and I will keep lying by the pool!” I hear you. I am not suggesting that you spend all your precious free time turning your house upside down. Perhaps just try some simple steps into de-cluttering. Start with those cupboards that you cannot open because you could cause yourself injury as junk hits you on the head – the cupboard that you like to keep tightly shut. You may be surprised at what such a simple exercise as cleaning out a cupboard at a time can do to for the soul. We have come a long way from our nomadic ancestors, who spent most of their time on the move, carrying everything they owned. Nowadays, it is fashionable to purchase the largest possible house in order to store stuff. Stuff we seldom or never use. But we keep it … just in case! Hoarding stuff affects many humans, especially those in capitalist societies, relentlessly bombarded by clever marketing slogans, convincing us that we need even more than we already have. For some, the collecting of stuff has become a chronic problem and it can be totally debilitating. 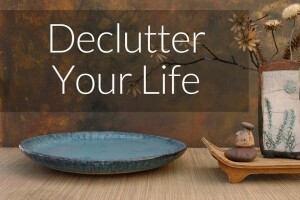 Stuff is not only cluttering our homes, it’s cluttering our soul. These holidays, I started de-cluttering my cupboards – a habit passed on to me by both my mother and grandmother. Moving houses many times, including moving to different nations and continents, has made me more aware of humanity’s hamster tendencies. Yet I still fill boxes and suitcases with stuff: Clothes, kitchen utensils that I have never used, pots, old linen. It never ceases to amaze me how much stuff I manage to accumulate in a year! As I get older, I become more intolerant of stuff. I have noticed how little I actually need. I still fall for slick marketing ploys, but not nearly as often. Something happens when you clean out cupboards. You have time to think. You make a conscious decision that you are not defined by your ‘haves’ or ‘have nots’. Rather, you realise that you are a pilgrim on this earth. You have one short, magnificent life to live. How sad when we allow stuff to burden us from being truly alive. When you clean out cupboards, you make a silent protest against a stealthy campaign that tries to convince you that you need all this clutter … and more. You don’t, dear friend, you really don’t. You are so much bigger than stuff and anyone who judges you by the quality of your stuff really is not worth your company. Perhaps that’s why Jesus always felt so sorry for rich people? 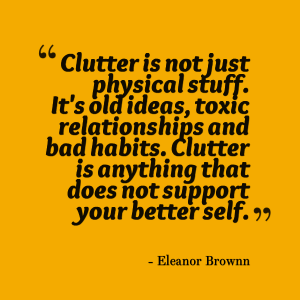 Clearing clutter is an elixir for the soul. The enormous social move towards minimalism is an indication of how many people have discovered that de-cluttering your space has a mysterious effect on your emotional world. A de-cluttered space speaks of freedom. A de-cluttered space de-clutters the soul. 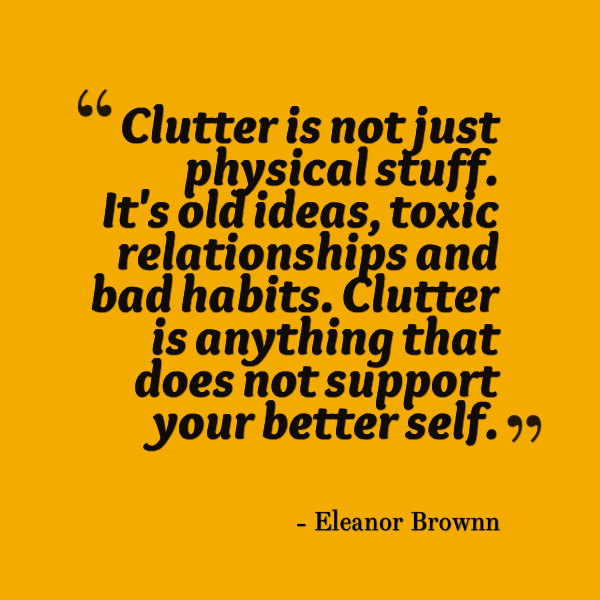 When you de-clutter your environment, you begin to seriously question what else makes your life complicated. What habits, ideas and relationships keep you bound to the hamster wheel of the toxic familiar? 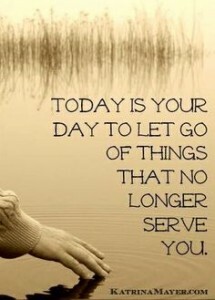 In 2016, don’t let stuff own you. Don’t permit yourself to be burdened by imagined social norms that continually demand of you to buy the latest, greatest, fastest or sleekest temporary piece of junk. Don’t allow yourself to continue in webs of toxicity. 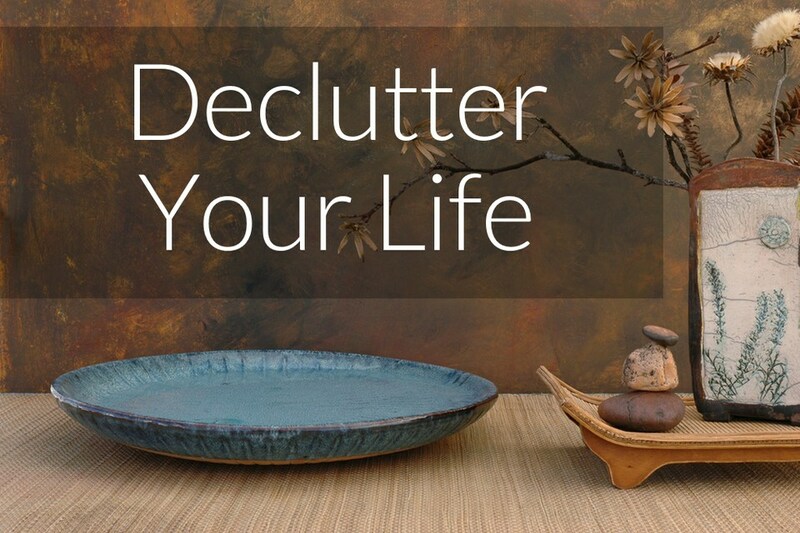 Discover the power of a de-cluttered life. Discover the joy of living simply, with little or no debt, and without the fear of getting your stuff stolen. Discover the joy of sleep and wonder that comes when we de-clutter our lives. For you, my friend, I pray the blessing of a simple life. Another brilliant post thanks Nicole. Thanks so much, Tina. Trust the laundry declutter went well 🙂 I am looking at the shed …!! !